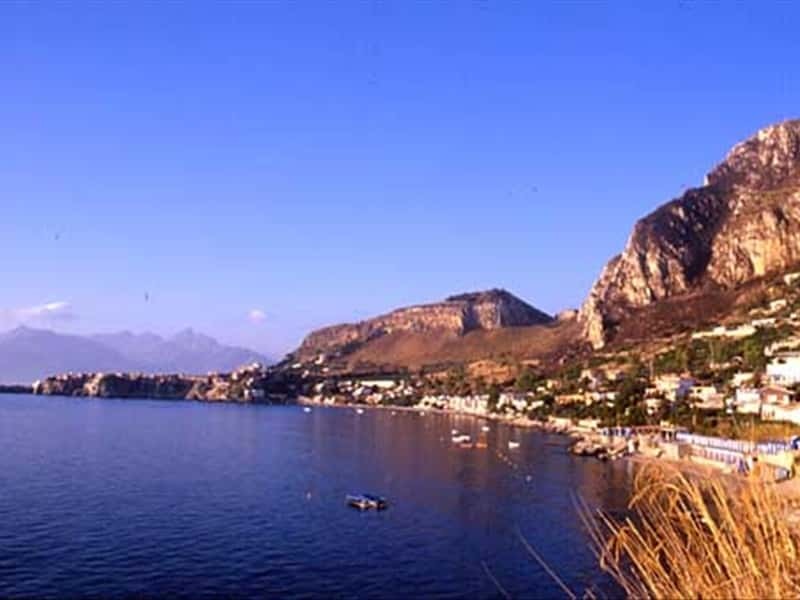 Santa Flavia is a town in the province of Palermo, set on the Thyrrenian coast. It was known with the name of Solanto until 1880. It was a fief of the Cabreras, the Spadaforas, the Alliatas and the Mantegnas. One of the most important centres in Punic Sicily, Solunto, Soloeis or Solus, is situated on the slopes of Monte Catalfano. The city was founded in the IV century BC, possibly in the vicinity of a more ancient Phoenician site; it was conquered by the Romans in 250 BC, and declined after the II century AD. Summer resort of the aristocracy from Palermo, the town is rich in monumental villas, such as Palazzo Filangieri, dating back to the XVIII century and actual seat of the Town Hall, Villa Filangeri di San Marco, built in the early 17th c. It incorporates a pre-existing late - 15th c. tower, and there is an adjacent chapel by Pietro Novelli built in about 1631. The Church of Sant'Anna, in Baroque style, preserves a valuable canopy, which is a reproduction in miniature with Corinthian columns of the Bernini's one, wooden sculptures and precious XVII-XVIII century paintings. Finally, we suggest to visit the medieval castle of Solanto. This town web page has been visited 22,515 times.